At RUN for the DRESS all the dresses are racked BY SIZE and it is very organized. You will be issued a ticket for entry – and we will do groups one at a time by order of arrival. Take a look at the video from last year for more information. It’s really a fun event and an excellent opportunity to score a great dress at a great price. 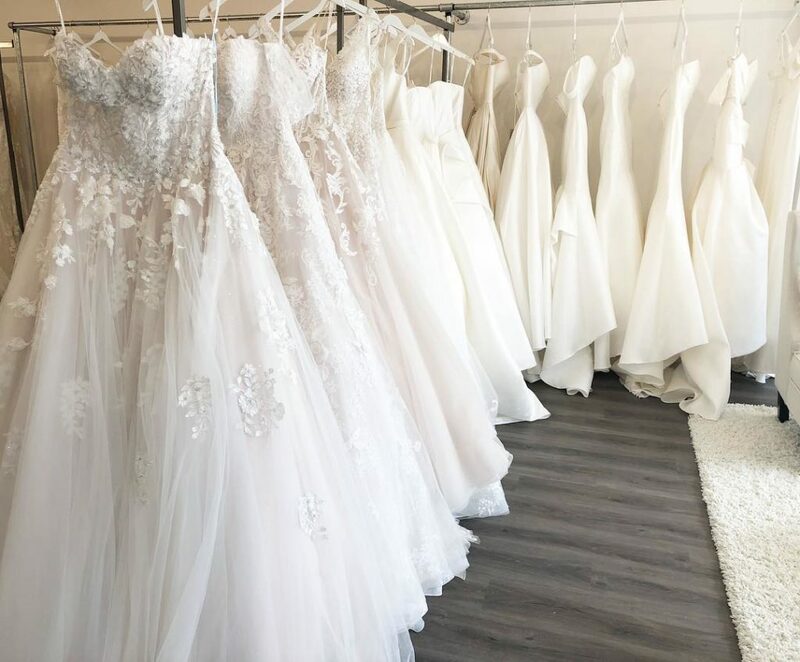 We have dressing room, mirrors, and bridal shop owners to help you in your selection. 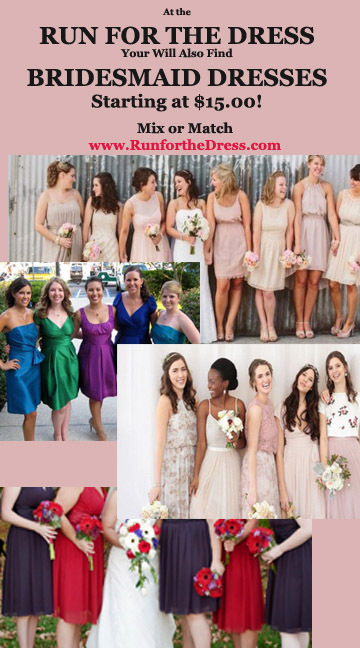 We also have Bridesmaids, Mother’s & Flower Girl Dresses arranged in color palette and then by size. Right now, there is a $5.00 promo code to apply to the EARLY BIRD rate making EARLY BIRD entry just $10.00. That promo code is ” DRESSME” and EARLY BIRD time is 10AM to Noon. That a small price to pay for best selection and best deals. From Noon to 5pm the Run for the DRESS and the BRIDAL EXPO is FREE. And by the way, you can see a small selection of dresses BY SIZE on our web site at www.RUNfortheDRESS.com. As we get more inventory info, we will continue to add more dress information. COME JOIN US. It’s a once a year opportunity! ⟵Champagne taste on a beer budget?